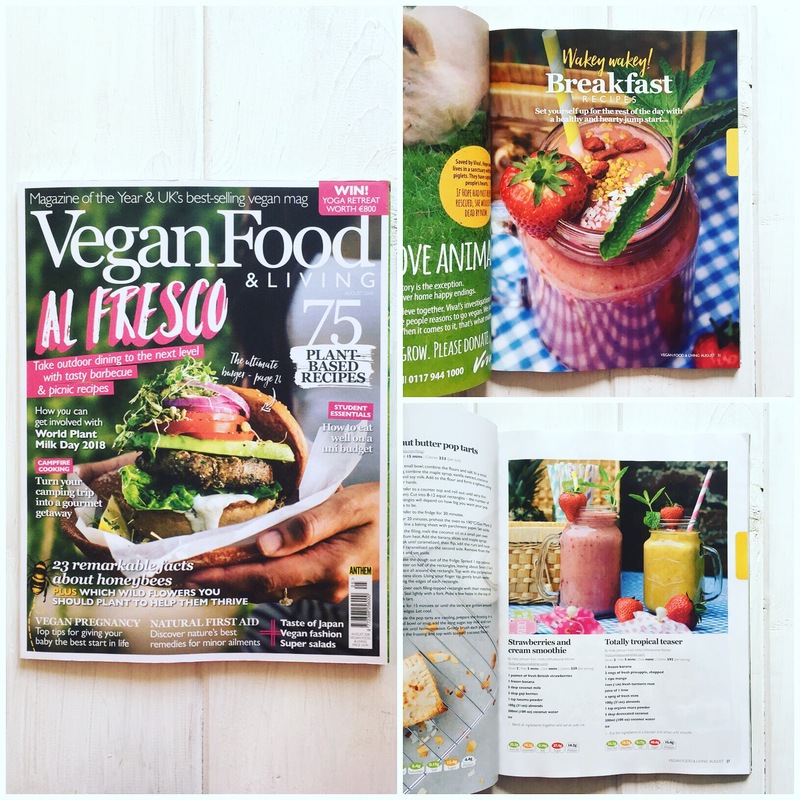 On a scale of 1 to 10, I am quite literally off-the-chart with excitement about this – 2 of Holly’s Wholesome Kitchen’s smoothie recipes have been published in the truly amazing Vegan Food & Living Magazine. I have been blending-up a smoothie storm for the past 6 years after a period of not feeling quite as bouyant as I’d like and this is truly my passion. I love sharing my thoughts, recipes and advice and I am so humbled by all the support I’ve received since I embarked on creating Holly’s Wholesome Kitchen. 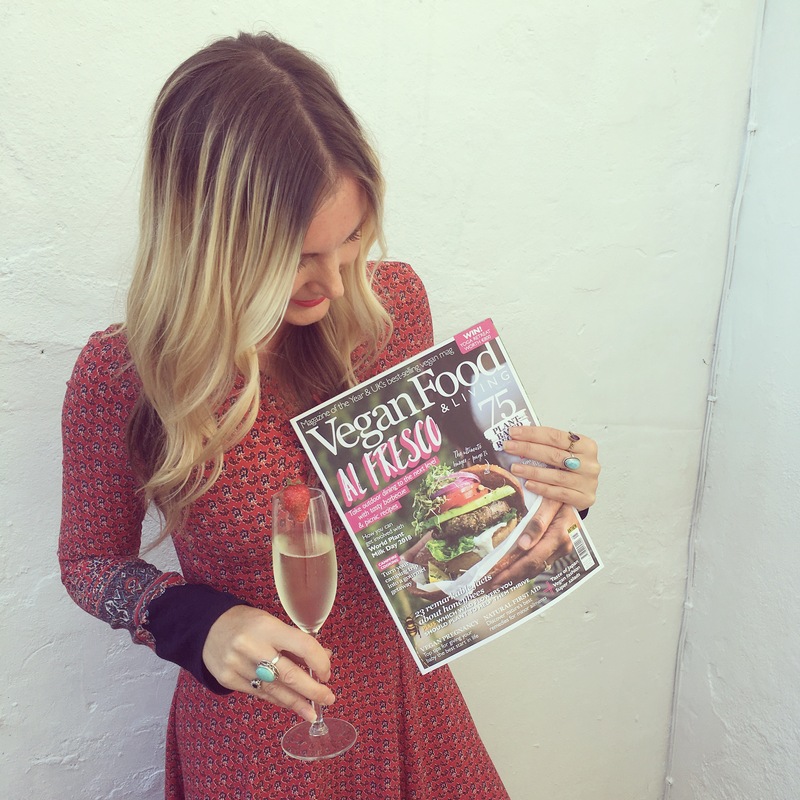 Vegan Food & Living Magazine (Magazine of the year and UK’s best-selling vegan magazine), is absolutely beautiful and it’s bursting with nutritious recipes, guidance, lifestyle tips, natural recipes and stunning images. I am so grateful to have my little Kitchen featured as it has been a dream of mine for a very long time. This very lovely occasion gave me a real boost and helped me to re-determine to keep pushing things onwards and upwards. If you fancy reading my recipes (and taking a look at my photography skills), go grab yourselves a copy). Thanks to everyone for your continued support, love you all.